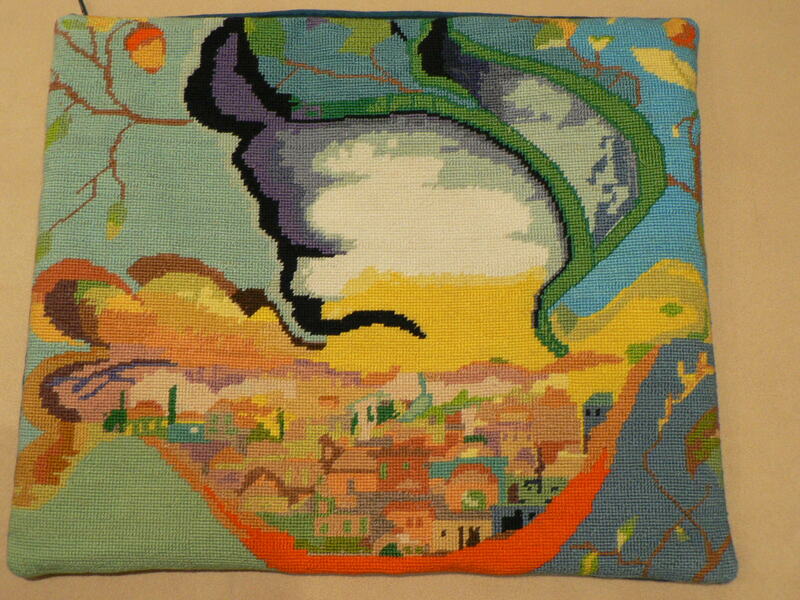 Have you been looking for the right design to needlepoint a Tallit Bag? Well, why not consider doing a custom needlepoint project instead? Attached is a picture of a tallis bag stitched by a customer in Montreal a few weeks back! The art is special to them and it looks so good I’m sure it will live on through the family for generations to come! We’ve helped design tallis bags for bar mitzvah gifts and personalized the needlepoint designs with names and favorite activities. If you have an idea, you can contact us and we can help create it from scratch. We’ll send you the digital preview for you to review and if you’re not happy with it, you don’t have to place the order! I’d like to design a Tallit bag for my son. I would like to see if I could have his name written on it in Lego letters? Or something to do with Legos. I replied to your email earlier this week, but I did not hear back. I would like a Noah’s arc style Tallis bag, to needlepoint.